Why you should join FLA! Joining FLA supports librarianship and literacy; we are your voice at the Florida Capitol! Develop new and lasting relationships in a generous, creative, and collaborative environment. Broaden your knowledge base, increase your skills and build your resume with participation on committees and continuing education webinars and trainings. Exclusive members-only listserve and an advance copy of Florida Libraries, our semi-annual e-journal. Receive a huge savings on conference registration. 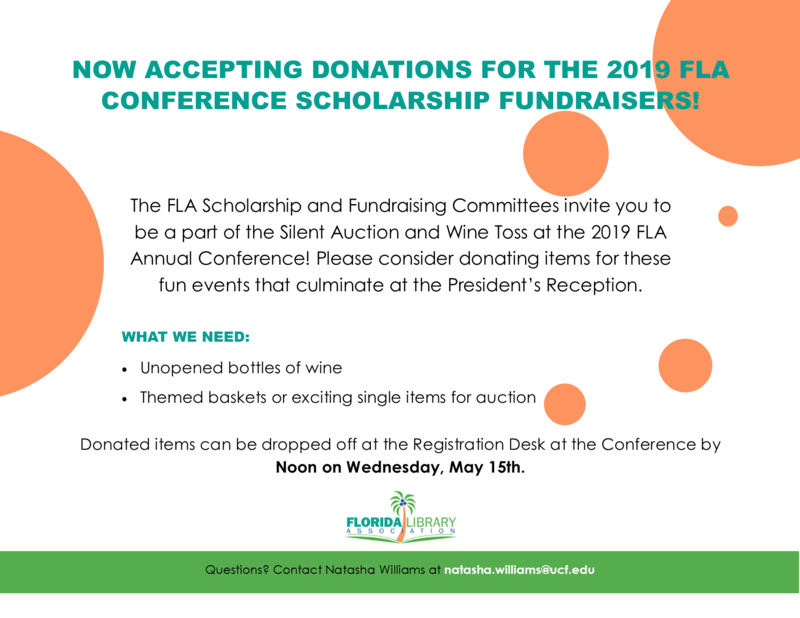 All members are eligible to win a coveted FLA Award.